Popularly known as the, “Shopper’s Paradise” The Yiwu Market is the best place to procure goods at prices that fit your budget. Visiting a vendor in person has its own pros, but before you pack, don’t forget to check out these 9 tips. These tips will keep you prepared and informed at every step to ensure that you have a stress-free sourcing trip. Almost every hotel in Yiwu will have a stand in the lobby area with promotional brochures. These brochures have a wealth of information on different products and suppliers. If you do not have any contacts in China, the hotel lobby is the best place to start exploring your options. The Yiwu Market is massive and you are sure to lose track unless you have all your commodities listed and vendors located in advance. Coming prepared will save a lot of your sourcing time and keep you from getting distracted. Don’t forget to bring samples of the commodities that interest you. You are sure to find multiple suppliers in China selling the same product at different prices. This makes it necessary to test out different agents for the same merchandise to make sure that you crack the best deals at rock bottom rates. Here you can find awesome replicas of leading international brands but don’t fall for them. Purchasing counterfeit products from China and selling them at a high price in your country of origin can get you in big trouble. You would not only lose your rights as a trusted online seller but also invite legal hassles. While counterfeit products surely make an alluring deal, it is advisable to stay away from them. The market has a downright overwhelming variety of products that can trap you into making a hasty decision, but beware! Suppliers may try hard to convince you into making a decision but the best way is to explore all the options you have and finally make an informed decision. If you have a particular product in mind which is not on the market, you can have it custom made. From adding attributes and changing colors to modifying functionality and printing your logo, everything can be done within your desired budget, provided you know to negotiate. This task can be a little tedious and time-consuming if you do not have a China sourcing agent by your side. To learn the best sourcing practices, you need to know your potential suppliers. Make the most of your time in China visiting trade fairs and showrooms. Compile a list of suppliers and set up as many meetings as possible. Visit factories and verify if vendors are fully equipped to fulfill the claims they make in terms of volume and timely delivery. Visiting factories and meeting vendors can get you real busy, leaving a little time at your disposal. It is difficult to keep track of everything once you get caught up with suppliers and services. Listing down all the questions and queries in advance will help you remain on the right track even with a hectic sourcing schedule. Visiting a supplier in person is very different from having your queries answered online. 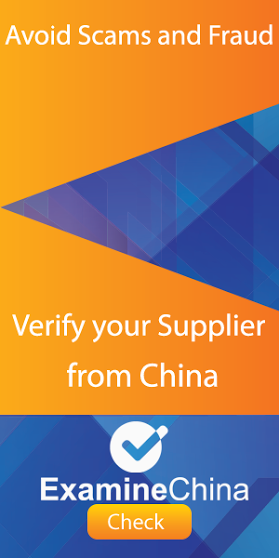 When you interact with factory owners, vendors, suppliers, and China sourcing agents one on one, you are in a better position to finalize your deals. A compliance check plays a decisive role in determining the right vendors. It eliminates unnecessary hassles and saves a lot of your time. Partnering with vendors who comply with your country’s regulations and requirements will help you maintain industry standards and deliver quality products and services. 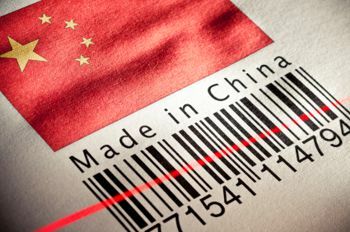 Following these nine tips will help you manage your China sourcing trip more efficiently. If you want to avoid the complications that arise with language barriers and communication gap, you can count on a reputed China sourcing agent who can find legitimate suppliers and negotiate on your behalf. As the Director at Excella Worldwide, Shruti Agrawal is a strategist with an Electronics Engineering background and always on the lookout for ways to challenge and disrupt business models to make them better. China Sourcing – SteelSeries Apple to buy Beats Electronics – how the China Sourcing paid off Warby Parker – China Sourcing All China Trade Fairs in one place How to register at Canton Fair 2017? How to find a Chinese business partner? Incoterms 2020 – what are the planned changes? Who has rights to Supreme in China?